Our heavy duty black sacks are large but manageable 18" x 29" x 39". 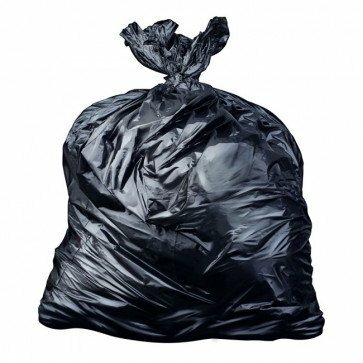 Extra strong and decay proof, they are perfect rubbish bags for carrying for litter picking collections or for just general waste bin liners, healthcare and garden environments. The sacks do not split or rip under normal use and can be used as bin liners. Black - General residential & commercial waste. Total 'opening' circumference = 58"